Luderitz, is a harbour town in southern Namibia, home to a diminutive 12,537 people. This welcoming city, with its rocky coastline, is a burst of colour and character. 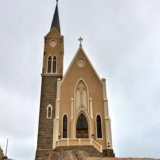 It is the only place in Africa with German colonial architecture, paved into its structures. The coastline is beautiful, serving as a home for seals, penguins, flamingos and even ostriches. 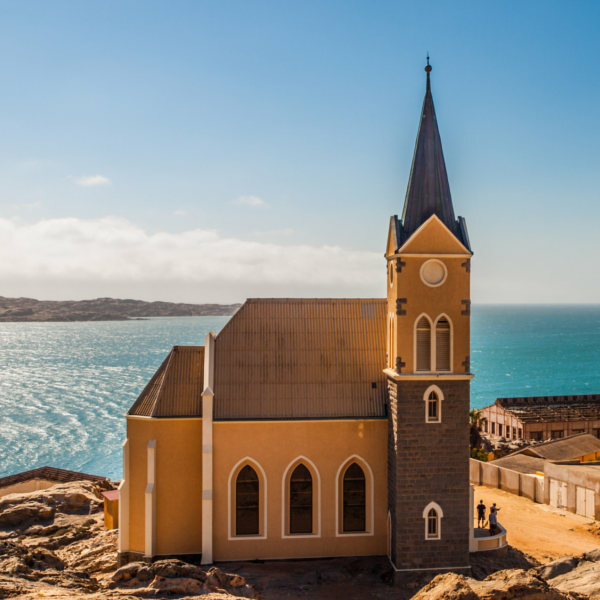 Cheap flights to Luderitz are now available for a limited period of time, so get ready to be captivated by this beautiful city. Luderitz is home to the Luderitz International Airport (LUD), which is an enjoyable 15-minute drive from the city center. A friendly harbouring town, on the warm shoulders of southern Namibia, keeps the traveller busy on this adventure. Photographic opportunities, festivals, quaint architecture is the richness of this port’s history. The streets of Luderitz are iconic. 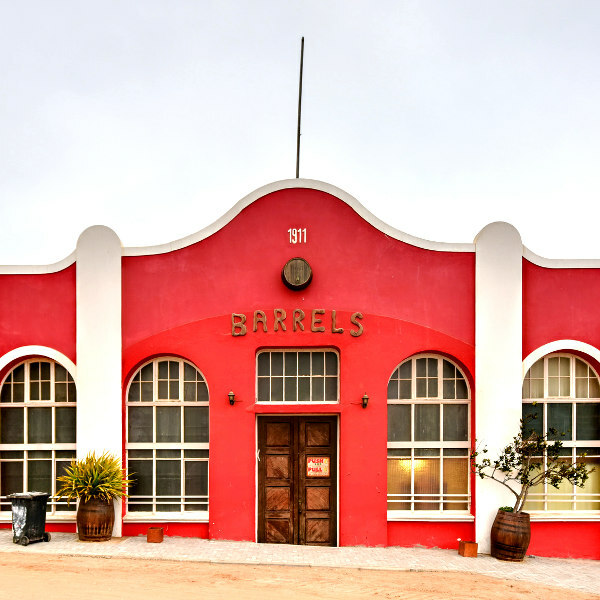 Wander along the streets and be awed by some interesting, brightly coloured Art Nouveau architecture that contrasts beautifully with the golden sands of the Namib Desert backdrop. It may be a far flung town hidden between desert dunes, but this doesn't stop it from offering up exceptional dining experiences. Rock lobster, prawn curry and seafood platters are just some of the delicacies. The climate in Luderitz can be a bit unpredictable. Arriving from the interior, you will notice a distinct change in temperature as you get closer to the coast. And while most days are sunny, during September and February, there are some severe storms and ferocious winds. Like many tourist centres in Luderitz, it can get busy during school holidays; book accommodation in advance if possible. The peak tourist season lasts from June through to September, the winter months. During December to mid-February the winds sweep across the city at 60 kilometres-per-hour speed. The last 20 km of the main road passes through shifting sand dunes; if you hit a ridge of sand at high speed, it is like running into cement, and can easily cause you to lose control – drive slowly. The town has several historical sites which are worth visiting, including a number of memorials. 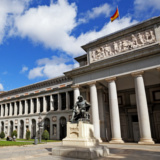 These buildings hold great historical importance. The multi-coloured buildings, which line the streets were built during the first German occupation. Businesses older than a hundred years can be found on some of the streets. The sheer scale of the national monuments, and the way it blends into the rock face is very impressive. The museum contains information on the town’s history, including displays on natural history, local indigenous groups and the diamond mining industry. 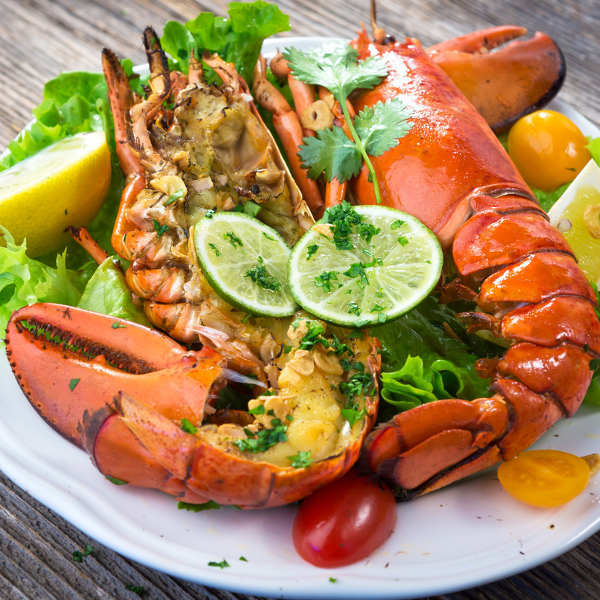 The annual Luderitz crayfish festival takes place around Easter and attracts thousands of visitors to the city. The festival is a joyous celebration of fabulously rich marine life, especially the delicious local rock lobster. To add to the party atmosphere, a wonderland of entertainment, activities and delicious seafood makes the festival an event not to be missed. The Luderitz second lagoon en-route to Diaz Point has become the world’s top speed sailing spot. The speed challenge is a six week-long event that attracts the world’s leading kite and windsurfing champions. Compare several airlines, and book your cheap flights to Luderitz online at Travelstart! • Vaccinations against Hepatitis A & B, Typhoid and rabies are required. • There is no risk of yellow fever in Namibia. The government requires proof of vaccination only if you are travelling from a country that has been at risk of yellow fever. There are many areas to consider when planning your stay in Luderitz. Situated on Shark Island, and only 800 meters away from the city is a magnificent island cottage. The island is joined to the mainland via a land bridge, this makes for a convenient stop when visiting local attractions of this coastal town. The cottage is well located, with guest rooms offering great sea views. A sea side area and popular for off-shore diamonds, rests a luxury house with rooms to rent. This location is ideal for family vacations. The house has five bedrooms, three with double beds and two with single beds. There are two bathrooms and a fully equipped kitchen. There is secure parking with a big yard. In the heart of Luderitz rest a few hotels, close to all the wonders that a small town can offer, and features a lovely bar and restaurant which offers freshly cooked meals each night. These modern day refurbished rooms are well equipped to suit the needs of a weary traveller. Car rental: There are several tour operators which will take you to some of the area attractions, and also several standard car rental agencies in town which will enable you to see the peninsula, including Diaz Point, Agate Beach and some of the bays teeming with flamingos. Boat: Enter into safari wonderland on an inexpensive safari boat ride, and discover the lake and surrounding beaches. These boats are available at the sea and lake ports and depart daily for daytime expeditions.